The problem most people have is that there is a widespread misunderstanding about how the mind works. This leads to a great deal of unnecessary stress and personal struggle in work, relationships, health, and life. Christina Ness-Hawks, LAc is passionate about helping people live an emotionally and physically balanced life filled with joy and vitality. She believes that everyone possesses an inherent natural state of health and wellbeing; sometimes it just needs some help shining through. Christina’s superpower is illuminating the simple principles behind thriving so people can connect with the best version of themselves. Through the understanding she shares in this workshop, she was able to transform her relationships, drop stress that was making her physically ill, and transcend the overwhelm of being a business owner. She relies on it on a daily basis to access her intuition, joy, and inspiration. 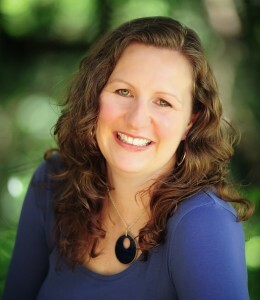 Christina is a California licensed and Nationally Certified acupuncturist and herbalist and the owner of Thrive Acupuncture and Wellness Corporation in Santa Rosa.